Getting to and from Tamarindo, Costa Rica. 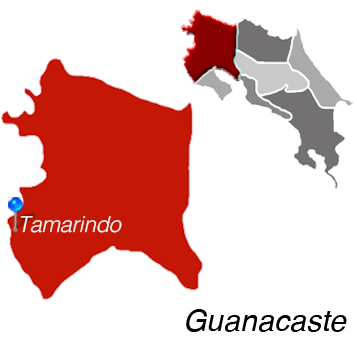 Tamarindo is a prime location on Costa Rica's Nicoya Peninsula. It is within an hour drive from Liberia's Daniel Oduber Quirós International Airport, which means visiting from the U.S. is a breeze, even if you're coming for only a quick stay. In addition, for those who have business to attend to regularly in the capital, the numerous daily flights to San Jose make coastal living easy. 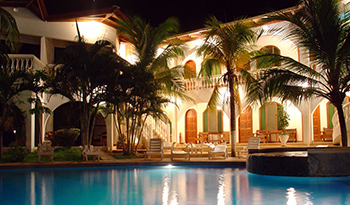 Tamarindo is the largest beach town on the peninsula, making it an ideal living and real estate investment location. To the north and south, you'll find quiet beaches and sleepy beachfront towns, any of which makes for a lovely day trip. And you'll be glad to come home to a fun and active beach community where no one takes things too seriously. Copyright © 2014 KRAIN Costa Rica Limitada, All rights reserved.